"When Nanette and I travel to England, It's as if we're visiting an old friend with many faces, all of them friendly. Recently we were able to get away, just the two of us, to explore a corner of the isles we had never visited before: the Hampshire region in southwest England. It's not often visited by tourists and those who do venture south often do so via what the English call rambling - strapping on a pack, lacing up your boots, and hiking. Nanette and I are natural-born ramblers and we've been doing it for years, so we were delighted to get to know Hampshire this way. The region is laced with chalk-bottomed streams that overflow with plump brook trout and each bend along the river reveals another timeless village. The flint stones that create the quaint Hampshire cottages and lanes are gathered from the rocky fields that line the valleys. In my imagination, Cobblestone Bridge is one of those delightful villages discovered on our recent rambles. The scene is filled with glowing sunsets, lamp lit warmth, and inner yearnings of my heart. The stately old bridge is overgrown with climbing wisteria. The thatched roofs are built up from bundles of locally grown reeds. In the world of Cobblestone Bridge, man and nature come together in a celebration of the glory of being alive. I thank God for the chance to have entered, if only for a week or two, into such scenes of perfect harmony." 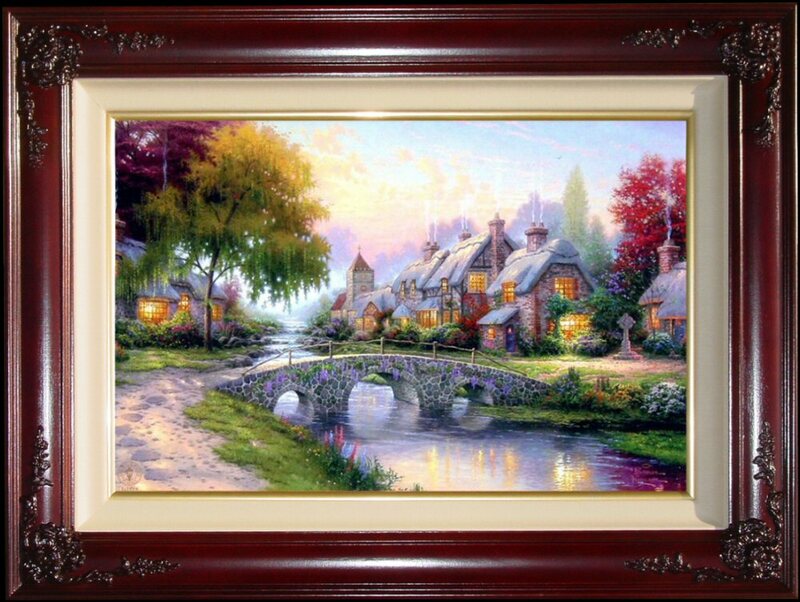 The holidays were the favorite time of year for Thomas Kinkade and his family. They loved being together and celebrating this magical season of joy and giving. What could be better than sharing the joys of Christmas with friends and family, and looking for ways to touch others with the warm spirit of the holidays? 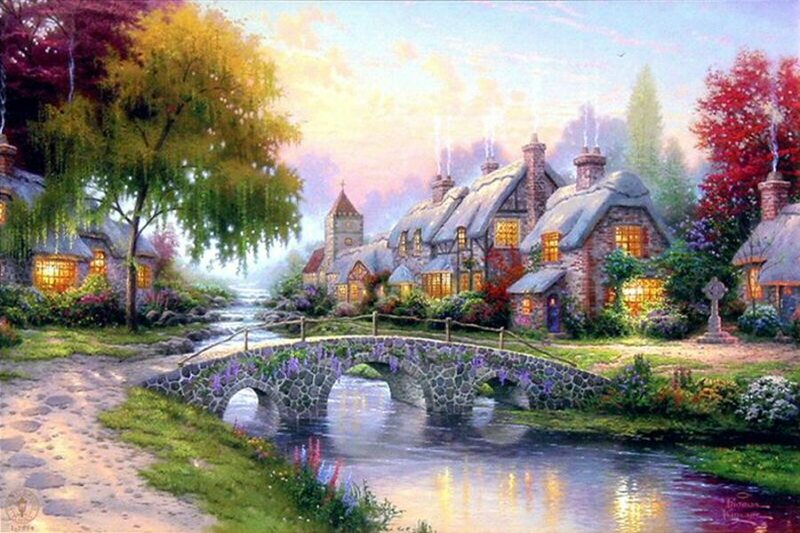 Thomas Kinkade viewed his artwork as a way of giving back to others and sharing a message of hope and joy. And it's those same themes that are captured in one of New York's most famous holiday traditions - the Radio City Christmas Spectacular.